One of the central aspects of roleplaying games is continuity and improvement of characters. Traditionally, this is accomplished by improving the character's abilities in some manner. 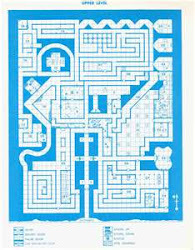 The first RPG, Dungeons & Dragons, did this by increasing a single characteristic, the "level", in relation to victory points acquired by the character (called "experience points"). The "level" of the character determined how effective the character was at certain activities related to the character's general stereotypical category, or "class". Everything else was determined by an interaction between the player, describing what the character was attempting, and the Referee, adjudicating and describing the outcome of those actions. In a sense, experience points and level could be considered similar to the Polynesian concept of "mana" (as distinct from the later usage of that term to refer exclusively to magical power in games). Those victory points, or experience points, were really the central feature of the character. They were originally gained by defeating monsters and other foes and by acquiring money and valuables. There was a long period of adjusting, in various editions, the ratio of experience from defeating foes and gaining treasure. In some editions, treasure outweighs confrontation by 3 to 1 or more, while in others treasure has been nearly completely devalued in favor of defeating foes. After that, games developed three (or more, but this is what is coming to mind right now) different ways of regulating character improvement. First was the skill check system typified by RuneQuest, in which the use of particular abilities, or "skills", gave a chance of increasing that ability. Of course, there were other methods of improvement in RuneQuest, such as training, but those were artificially limited in order to encourage action. Next, there was the point system, developed by games like Superhero: 2044 and Champions. In this system, experience points were translated directly into character abilities, rather than being used to improve just one ability. In these systems, experience points were generally given in smaller amounts than those in D&D, and more importantly were given for story reasons other than the objective ones defined in early RPGs. This means that, rather than getting victory points for defeating foes or acquiring treasures, characters would gain them for subjective reasons like "achieving goals" or "good roleplaying". The third method was very rarely used, in fact I can only recall one game that used it. This was the method in Traveller, where skills were improved only by long-term training, but other character improvements were acquired by spending money on equipment. In a sense, this is similar to those editions of D&D in which treasure represents the majority of experience points, as money is used to pay for training and also for other improvements. 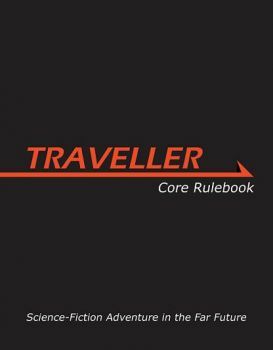 That last method seems like a good one to me (and to be fair, it is similar to the one in RuneQuest, which also used money to pay for training; the difference is that in Traveller's system, there is no direct improvement for simply acting and RuneQuest limited the benefits of training). It seems like it might be worthwhile, in a game, to expand on it. Consider the various things that we spend money and time on that improve our lives in one way or another. We might go out to a night club and carouse, with the potential of gaining friends and social skills. We might take continuing education courses or go to college. Even shopping for objects or property takes time as well as the money required for the items. And so on. What a system like this would need is a robust contact system, a time use system taking at least calendar time into account, and a personal trade system that covers availability and time to acquire items or property. Perhaps I will use a system like this in the WRG RPG.